Alex has tinkered with bikes all his life and is fully at home fixing bikes of all types and ages. We have nurtured his talent and put him through the prestigious Cytech training so he is now officially qualified as a professional cycle mechanical at Cytech Level 2. ​Very friendly and approachable, he puts customers at ease no matter how in depth or basic their knowledge. As our resident full-time mechanic, you'll usually find him at The Cycle Hub Tuesday to Saturday. Gavin Joined the company recently and is cCytech Level 3 qualified. Janine is the original founder of The Cycle Hub. She had a varied background of accountancy, book-keeping and general office roles before being offered the opportunity to be the sole manager of a small holiday arena. The latter had an on-site bike hire service which Janine soon recognised as being very restrictive with regards to its location. She set up a mobile cycle hire business - Cycle Lincs - which still today delivers hired bicycles anywhere in Lincolnshire. It was whilst researching ways to expand Cycle Lincs that the opportunity for a brand new Cycle Hub was stumbled upon. 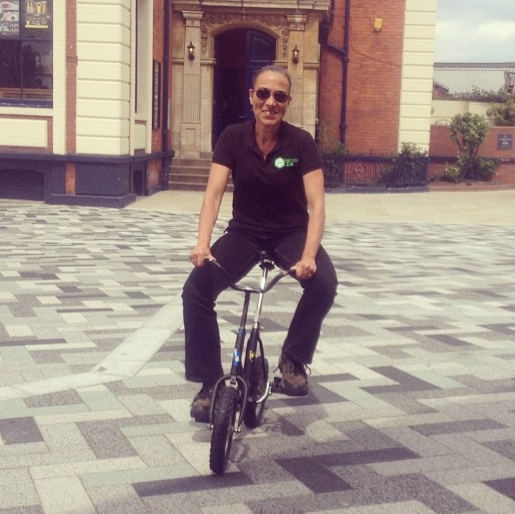 Janine quickly saw that a Cycle Hub could and should have much more impact on the local community and she decided to set up a brand new non-profit Community Interest Company whose core values are social rather than profit-making. Cycle Hub Lincs CIC - aka The Cycle Hub - was born and opened its doors in September 2013. Cycle Hub Lincs CIC is a limited not-for-profit Community Interest Company registered in England & Wales. Company Registration Number 08580107.